These are made of premium quality material. These are highly known and appreciated for its intense radiance and reliability. We offer them in opaque deep blue color which is bright in its appearance like a star. These are mainly used for making various and different kinds of jewelry like rings, earrings, necklaces and pendants etc.We are well-known manufacturers of a wide range of Fashion Jewellery. 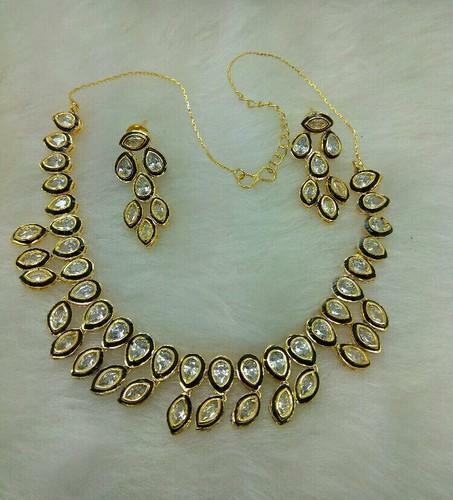 Uniquely designed, each piece elaborates the use of finest quality material, which is finely crafted and polished. These jewellery exhibits the ethnic as well as contemporary designs goes with any type of attire.Displaying the creative knack of our jewellery designers ,we provide our clients the latest trend of fashion jewellery renowned for their traditional look and delectable impression.